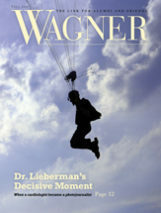 In 2018, the College celebrates 20 years of the Wagner Plan for the Practical Liberal Arts, a groundbreaking undergraduate curriculum that has influenced the direction of college education throughout the United States. 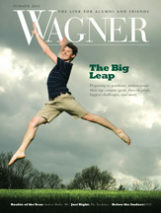 But, more importantly, has the Wagner Plan influenced Wagner students? 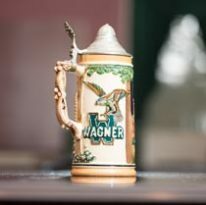 Starting with the class of 2002, Wagner students have spent their college years engaged in interdisciplinary learning communities and real-world problem-solving. What difference has this educational approach made in their lives? 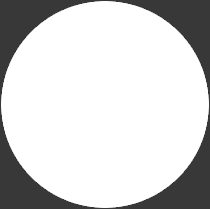 Here, I’ll give you a preview of what I’m hearing from them. Molly Judge ’07 worked for Coyne Public Relations in Manhattan for her first job after graduation. 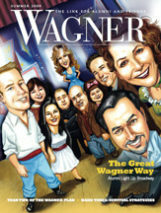 In 2007, Wagner Magazine featured four seniors, asking them to reflect on their educational experiences. One of them was Molly Judge ’07, an English major and journalism minor from Green Bay, Wisconsin. Her first job was as an account coordinator for Coyne Public Relations in Manhattan. Today, she oversees project management for Lytx Inc. in San Diego, using the cutting-edge technology of video telematics to promote safety in transportation. She is married to Steve Dixon ’06, a Marine Corps pilot, and they have two daughters, Charlotte and Nina. After working in public relations and marketing, Molly Dixon (as she’s now known) decided to try project management about eight years ago. 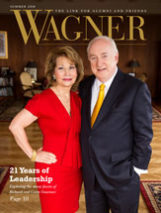 The communications and people skills she honed at Wagner, starting in her First-Year Learning Community, are key to her success in this field, she says. Molly ’07 and Steve ’06 Dixon and their daughters, Charlotte and Nina, live in San Diego. Well-prepared by the Wagner Plan, and assisted by the Wagner alumni network, she has found a niche where she feels happy and fulfilled.